chosen wording chosen wording (required)Personalised - add your own belowknow the offside ruleyou know what a Ruck is! 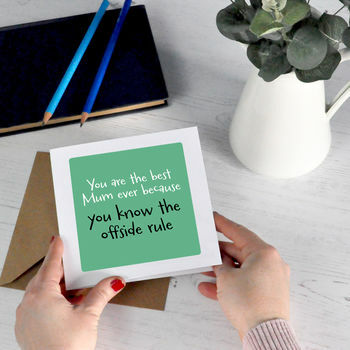 chosen wording (required)Personalised - add your own belowknow the offside ruleyou know what a Ruck is! chosen wording (required)Personalised - add your own belowknow the offside ruleyou know what a Ruck is! 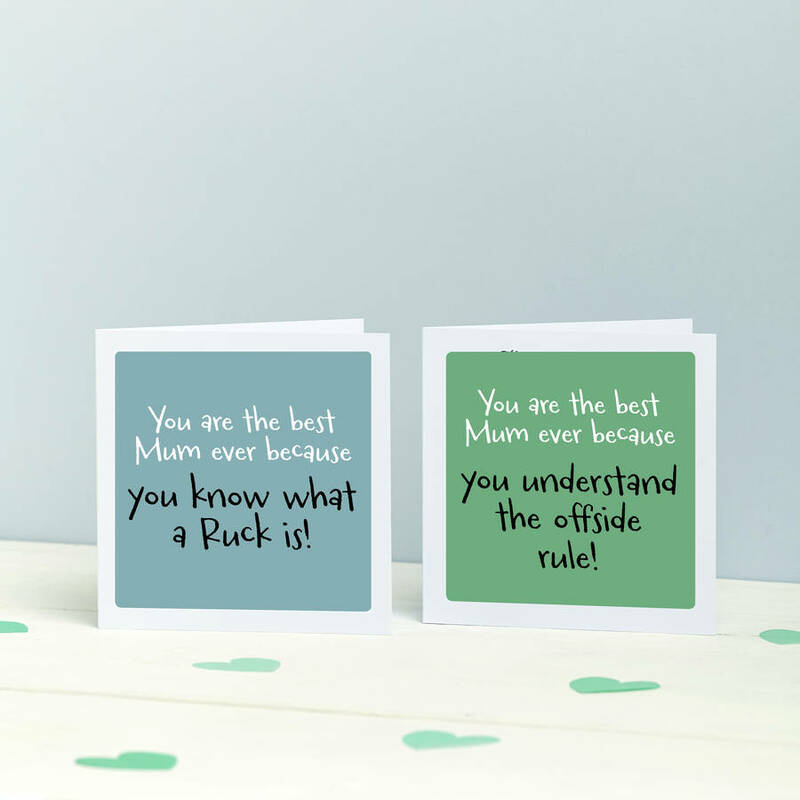 chosen wording (required)Personalised - add your own belowknow the offside ruleyou know what a Ruck is! 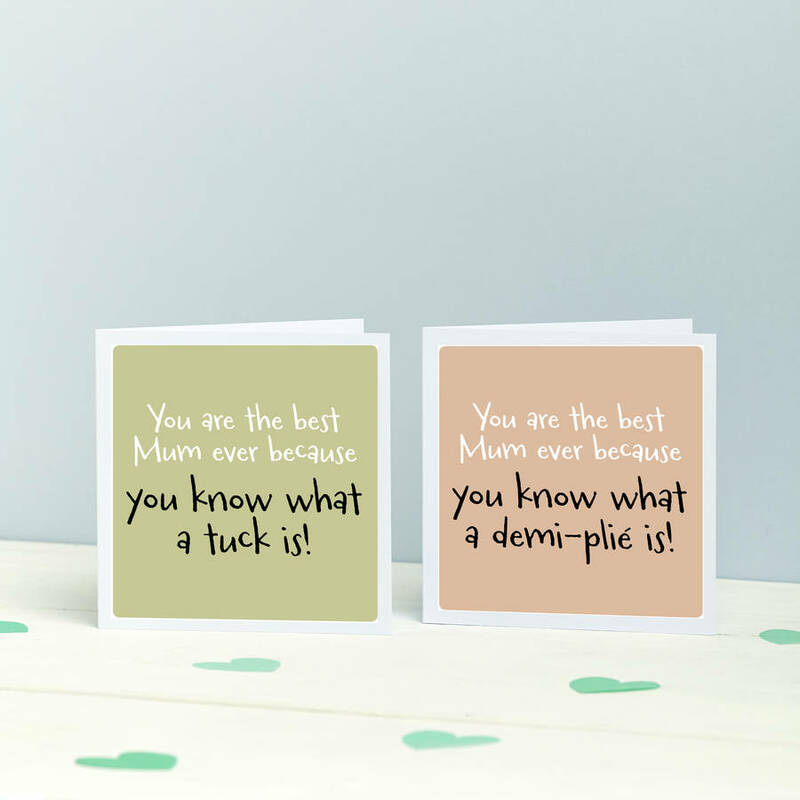 A contemporary fun typographic Mum card. Great for Mother's Day or birthday's. 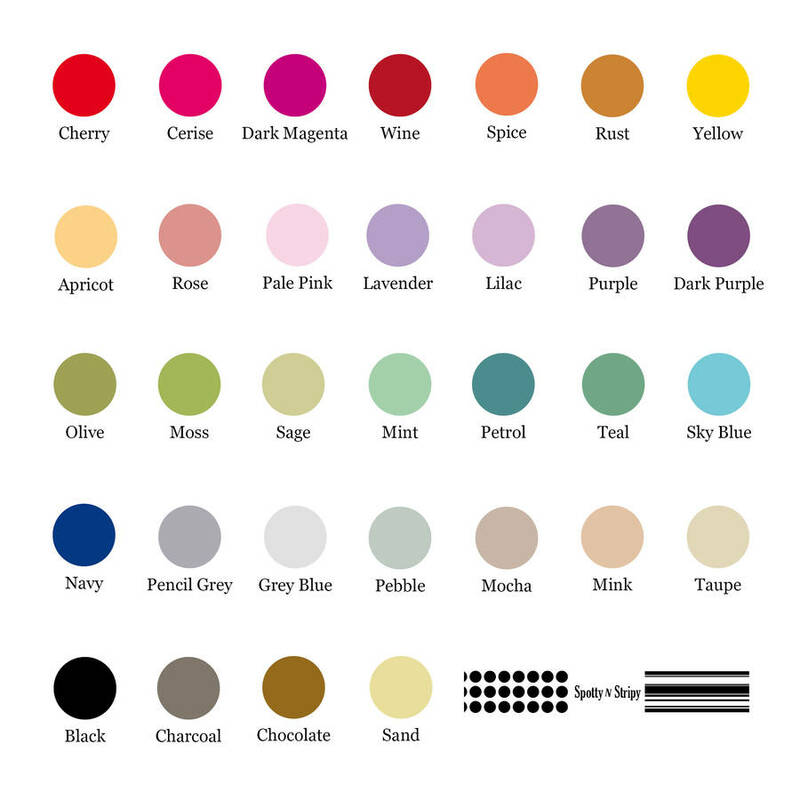 Choose from a wide selection of colours from the swatch image. 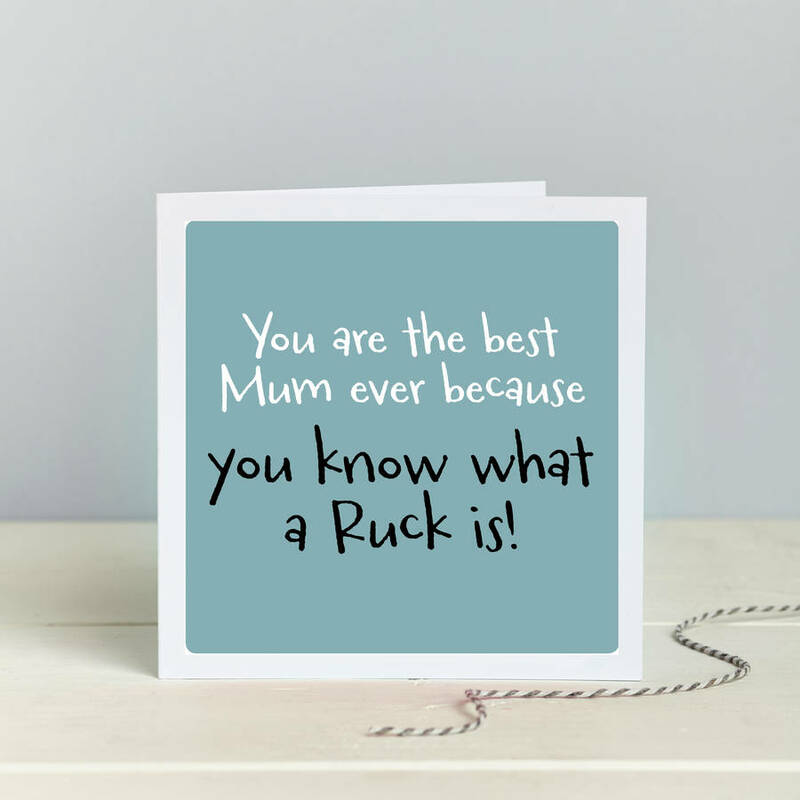 Can be personalised to Mum, Mummy, Gran, Grandma, Nanny, Nana, Nanna .... if what you're looking for isn't on the list just message us and we will add it. You can choose one of our example comparisons or phrases or get creative and invent your own - the choice is yours! Our examples include Football, Rugby, Ballet and Gymnastics but the options are endless, whetever the hobby it can be adapted to fit. All designs are printed on premium quality 350gsm silk white board with high calibre photographic inks. Where envelopes are white, 150 mic thickness. Folded Card: 14cm x 14cm card. Blank Inside.